Roofing is an essential part of ensuring you have a healthy home. One small leak can lead to wood rot, structural problems, mold, unwelcomed rodents and insects, as well as a number of other issues impacting the property value of your home. For many years, traditional black or grey shingles were the only roofing options available for most homes. The technology available for today's roofs are light years ahead. A modern roofing replacement project can transform the look, feel and comfort level of your home. Leaks can be caused by many different things. Heavy winds, hail, fallen tree limbs, people walking on your roof, old worn out shingles, sun-damaged shingles, etc. Improper installation or defective metal flashing may also play a role in a roof leak. It's very important that you inspect your roof for needed repairs regularly. Don't wait for a leak to occur, creating damage to building materials, dry wall, and your ceilings to have your roof repaired or replaced if necessary. Here at For-U-Builders, our residential division installs roofs on all types of properties: large to small homes, townhomes, condos and apartments. We also provide repairs for any severity of damage. And we will be honest in our evaluation - so you will know for certain if you need a new roof or just a repair. We hold ourselves to the highest standard of workmanship, attention to detail, and also a sense of responsibility and dependability. We will make sure your home gets the best care possible. Call us today for a free estimate! Don't let shoddy workmanship and sub-par materials jeopardize the integrity of your roof! Go with For-U-Builders for your residential roof repairs. If you live in Connecticut & The New England Areas call 203-349-6468 for a free estimate and see how we can help you with your roofing repairs or roof replacement. For-U-Builders works with some of the top companies so you can select the look you want that's within your budget. Let For-U-Builders help you to select the roof that's best for the weather, temperature and look of your home. Call us at 203-349-6468 or complete our contact form to get your quote today. 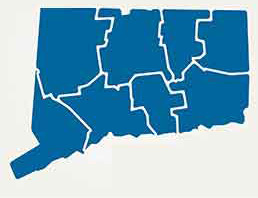 For-U-Builders serve the following areas - Fairfield, Hartford, New Haven, New London, Litchfield, Middlesex, Tolland & Windham Counties.